The Easton CINCH Power Meter Spindle is the first of its kind. Paired with Easton’s industry leading EC90 SL crankset, the CINCH brings power to your road, gravel or CX bike. 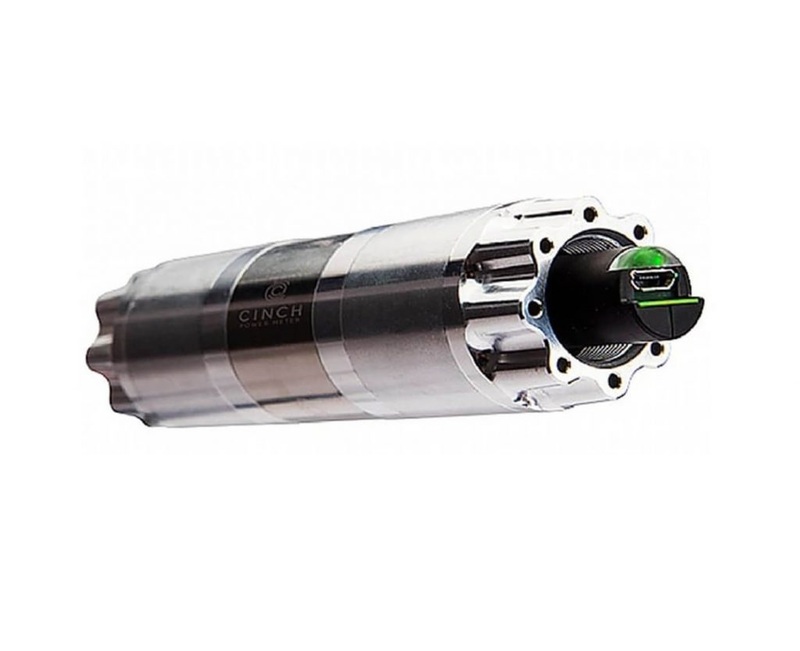 Safely protected within your frame’s bottom bracket, the Easton CINCH spindle provides accurate and reliable power and cadence data. Like other, popular left-side power meters, it measures left leg power and doubles it to calculate total power. However the CINCH is hidden in your frame. This means you don’t have to worry about clearance issues with your chain stay – a common concern with other left-side, crank arm-based power meters. The Easton power meter uses a rechargeable lithium-ion battery which provides 400 hours of battery life and adds a mere 65 grams to your bike. In addition, the CINCH is both ANT+ and Bluetooth compatible, so you can use your favorite head unit or smart phone. Best of all, at $509, it’s one of the more affordable power meters you’ll find. If you don’t currently have the EC90 SL crankset…we’ve got you covered! Easton’s best in class EC90 SL crankset is light, stiff and highly adaptable. The EC90 SL allows for both direct mount 1x rings as well as direct mount 2x spiders. The EC90 SL has a standard 149 mm Q Factor and will fit every major road bottom bracket standard. You can purchase the complete EC90 SL crankset with the CINCH power meter for $934. The result is a power-equipped, light, stiff, industry leading crankset! Because the CINCH is used with the EC90 SL crankset, you can run it on your road, gravel or CX bike. You have the choice of crank arm lengths, chainring sizes and can even run a 1x set-up. The CINCH is safely located in your bottom bracket, so it is protected from impact as well as rocks, rain and mud. The power meter adds a mere 65 grams of weight to your bike, which is only about 1/10th of a pound. With the CINCH app, you can check battery levels, install updates and calibrate your power meter on the go. The CINCH uses a rechargeable lithium-ion battery which offers a 400-hour battery life, much longer than most power meters. Applicable if you want to purchase the power meter spindle with Easton EC90 SL crankset arms and/or chainrings. 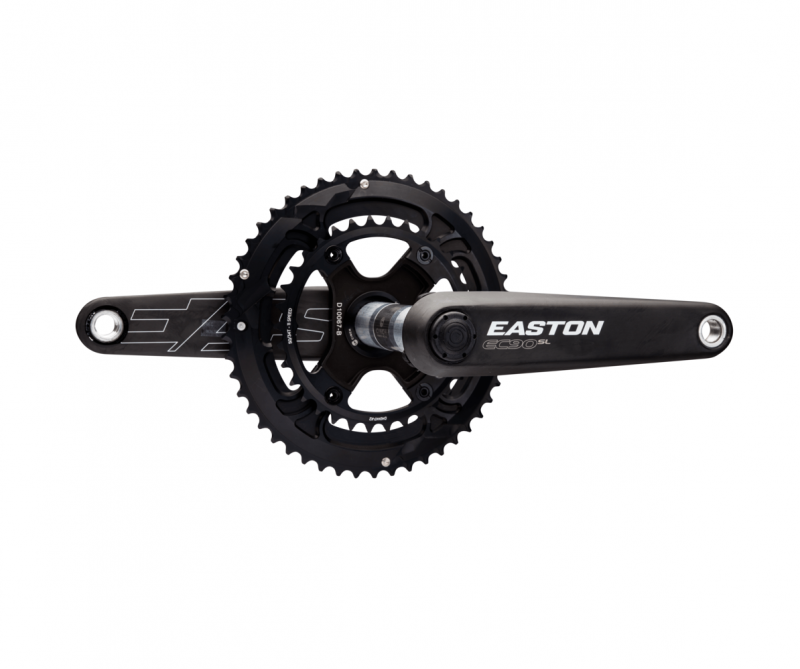 The CINCH Power Meter is compatible with the Easton EC90 SL crankset only.